Feature When Typhoon Usagi rattled into Hong Kong last week, complete with winds over gale force 8, the city state’s data-centre managers had nothing to fear. Typhoons are a regular part of Hong Kong life and local bit barns are designed appropriately, El Reg was told. Nevertheless, we were was curious to find out exactly how facilities in this Special Administrative Region (SAR) of China are built to cope with some of the most powerful storms on the planet. In the end Usagi was a bit of an anti-climax for Hong Kongers. Despite the panic buying and dire warnings, it actually made landfall east of the SAR, although it did claim the lives of 25 unlucky souls in neighbouring Guangdong province. However, HK is still on the wrong end of about 15 storms every year during the typhoon season of June-September, although most don’t score a direct hit on the tiny region. 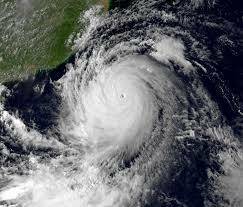 Last year’s Typhoon Vicente came closest of late, forcing the HK observatory to raise its highest signal, a “T-10”, meaning gusts could exceed 138 mph. Toppling trees brought down power cables; over 200mm of rain fell over two days, causing flooding and landslides; the winds caused a 5ft storm surge in places; and flying debris led to over 130 injuries. Despite the risk of natural disaster, however, real estate firm Cushman & Wakefield has ranked Hong Kong the safest location in Asia in which to operate a data centre for the past three years. Its Data Centre Risk Index looks at a range of factors including energy costs, bandwidth and ease of doing business, but ranked Hong Kong sixth overall, with a natural disaster ranking of 16 – where 1 correspondents to the least risk. Interestingly the safest country overall, the United States, had a natural disaster ranking of 29 – more risky than Hong Kong – while second placed UK wasn’t far behind the Chinese SAR with a disaster rating of 12. It seems that aside from typhoons, HK is a pretty safe place to stick a data centre. According to Matthew Chan, associate director at consultancy Arup, all Hong Kong structures have to comply with Buildings Department regulations in areas such as wind load, drainage requirements and facade design. Aside from that, it is down to the individual data centre operator how much resilience to build in according to which internationally recognised Tier they’re aiming for. Specific enhancements Chan referenced here included double glazing and anti-blast film on glass to protect from high winds; a “separation corridor” isolating the white space from the external wall of building to act as a buffer; and an effective weather proof louvre, such as one with triple banks and internal drain points. “For anti-flooding, if the data centre is below the level of the pavement or flooding level, an extra design effort may typically be needed to raise the ground level,” he added. Fujitsu has a Tier III+ data centre in Hong Kong, which it uses to service customers in the region. Managed Services GM at Fujitsu Hong Kong, Albert Wong, told The Reg that location was key to the facility. Taking no risks, the Fujitsu facility is also fitted with an automated water leakage detection system to sound the alarm in the event flooding does occur, he revealed. Savvis data centres in the SAR are all built to withstand a T-10, according to Kevin Wee, director of colocation business development. Data-centre operator Digital Reality’s new $US200m facility in the suburbn of Tsueng Kwan O is also located, like Fujitsu’s, “well above historic high tide levels” in case of storm surges, according to APAC VP of design Peter Adcock. He also highlighted back-up power capabilities as key to weathering any severe storm. “Our TKO facility is Uptime Institute Tier 3 certified. That means that, apart from having two 11kV medium voltage power feeds from separate electricity substations to eliminate a single point of failure, the data centre also offers unlimited or full load power from a fleet of 18 powerful 2.25MVA back-up generators,” Adcock told The Reg.